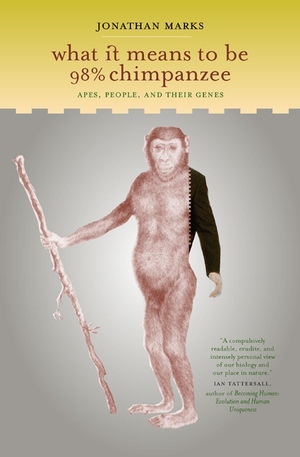 Marks presents the field of molecular anthropology—a synthesis of the holistic approach of anthropology with the reductive approach of molecular genetics—as a way of improving our understanding of the science of human evolution. This iconoclastic, witty, and extremely readable book illuminates the deep background of our place in nature and asks us to think critically about what science is, and what passes for it, in modern society. Jonathan Marks teaches at the University of North Carolina, Charlotte. He is the author of Human Biodiversity: Genes, Race, and History (1995) and coauthor, with Edward Staski, of Evolutionary Anthropology (1992).